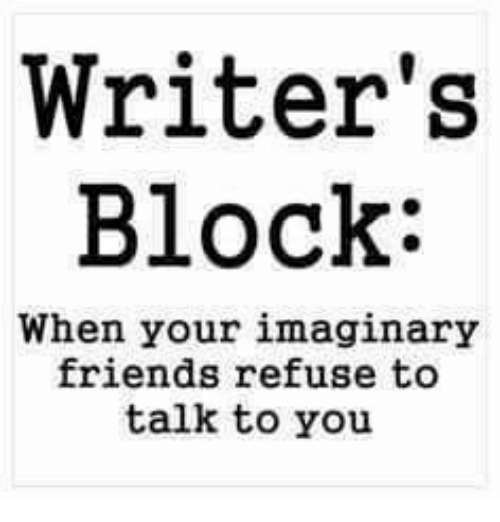 After taking a hard if biased look at my current WIP, I figured out what’s been causing the writer’s block. You don’t see the antagonist. At the 45k word point, you still haven’t met him. 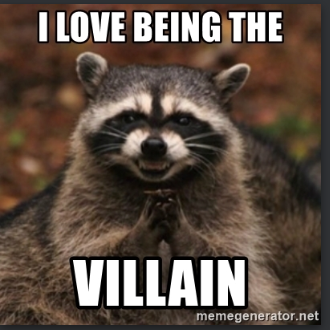 I have read a great deal of writing help on making sure you develop your villain. Make them a hero in their own story. While I know a great deal about the antagonist, everything he has been doing is behind the curtain. It’s something the characters must respond to, but the reader doesn’t see him. This is partially on purpose as the antagonist doesn’t want you to know it’s him. He wants to stay hidden. He wants you to think it’s someone else, and he’s done a decent job of setting up that person. More he loves power. But not too far off. However, at this point in the story, I really need him to take a more active role. His plans are hanging in the balance. He wouldn’t allow them to fall apart because of inaction. But, I haven’t shown him yet. It’s hard to do a big reveal when the reader doesn’t know him or anything about him. At the same time, as a romance story is traditionally only told through the eyes of the hero or heroine, I can’t just jump into his head and show my audience what’s happening. I need to go back and rework the story. Find a way to show who he is without revealing him. That means a pretty significant rewrite on a piece of work that isn’t complete. I try really hard not to do this, but I truly see no way forward. He must step up now and take action. I suppose I could try the random reveal and then work him back into the story later. I will ponder both options and see which way has the characters talking to me again. Ugh, that’s tough. What about the hero or heroine seeing him and noticing something? about him that will clue the reader in, but still leave the protagonist in the dark? Alternately, you could break the rules and give the villain the villain his pov. That way you could keep identity a secret whilst giving him a real character arc. Good luck! Ah, that’s half the fun of it, isn’t it? Working out the logic puzzle of what’s not working, and how to address it, and then returning to the art of writing. Enjoy the trip!